When you create a Dooster account you are the “owner” with total access /permissions. 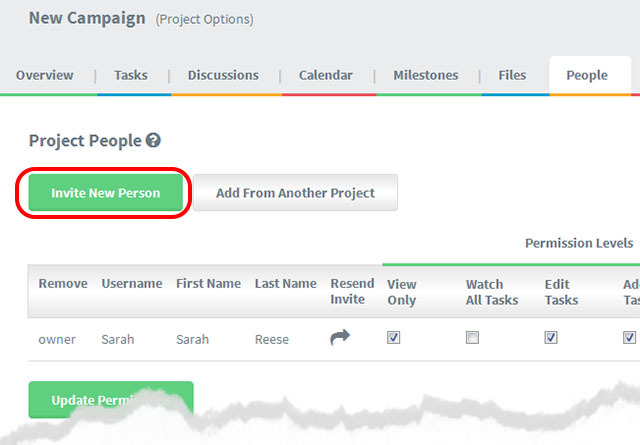 Now you can invite others into the account to work with you as Team Members. To invite a Team Member to work with you in Dooster you simply need their name and an email address. Then give them a username. (The username is what they will be referred to in your dashboard etc. It can be anything you choose). Once you “submit” the form, the new Team Member is sent an automated email with easy instructions on how to get going. It includes a simple link they click to get right into app. They will have their own login credentials. You can re-send them the invite email and their login credentials quickly and easily at any time. Here’s what the add person dialog looks like: (Read more below this). 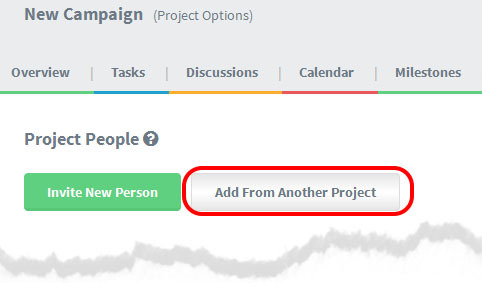 “Add from another project” concerns someone who already exists in your Dooster account and is involved in other project(s). “Invite New Person” is someone who does not exist in your Dooster account yet. To add them use “Add a New Member”. Can I Invite Multiple People to a Project at the Same Time? Yes you can. 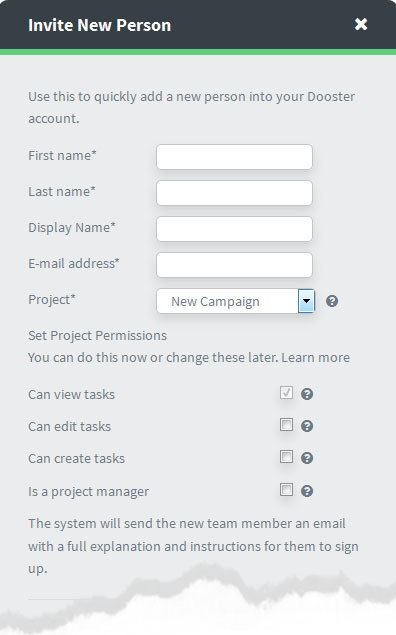 Go to the “My Team” screen and use the “Add From Another Project” button. 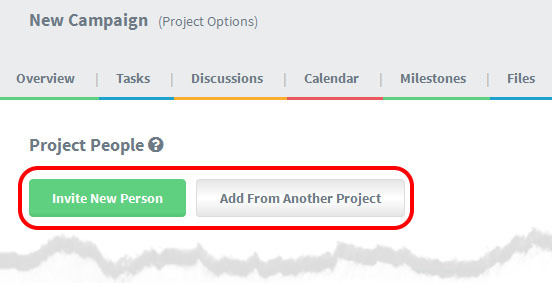 Use the drop down list to select as many people as you wish to add to that project.